On December 24, 2018, the NFL’s Oakland Raiders salvaged a small bit of joy in an otherwise lost season by beating the Denver Broncos 27-14 to improve to 4-11 on the year. The game was not relevant to the NFL standings; neither team was relevant to the AFC’s postseason picture. Any non-Raiders or non-Broncos fans watching the Monday Night Football contest were likely only doing so out of boredom (it was the only major sporting event on Christmas Eve) or for fantasy purposes. Those who tuned in, however, might have witnessed a bit of stadium history. The contest ended in a formality, with Raiders quarterback Derek Carr kneeling down on the final three plays to bleed the last two minutes off the clock and protect a 13-point lead. He didn’t kneel on infield dirt, sadly, but he and his teammates might have been the last to play on it. The Raiders opened the Oakland-Alameda County Coliseum in 1966 and began sharing the facility with the Athletics in 1968, when the A’s moved west from Kansas City. For much of the stadium’s life the two teams have co-existed in that space, excepting a 13-year hiatus when the Raiders played in Los Angeles. Until recently, these arrangements weren’t uncommon, but for the last few years, Oakland’s has stood alone. Other ballparks continue to host occasional football games, such as Yankee Stadium’s annual Pinstripe Bowl, but the Coliseum was the last full-time joint NFL-MLB stadium in use. If the Raiders had their way, they’d play one last season in a shared facility, albeit a different one. But a recent reported agreement to play at San Francisco’s Oracle Park faces several hurdles, including scheduling and the 49ers’ willingness to waive potential territorial rights over the city. If this is the last hurrah for shared stadiums, then the end of the era came somewhat abruptly: As recently as 1999, about a third of all major league ballparks also regularly hosted football teams. What follows is a look back at some of the most notable facilities that pulled double duty; the final year it served as a multi-sport facility listed in parentheses. The then-Florida Marlins’ original home facility is perhaps best remembered for its naming rights history. It opened as Joe Robbie Stadium in 1986 and during the Marlins’ tenure there, it was also called Pro Player Park (1996), Pro Player Stadium (1996-2005), Dolphins Stadium (2005-06), Dolphin Stadium (2006-09), Land Shark Stadium (2009-10) and Sun Life Stadium (2011). Elsewhere in the facility, most of the stadium’s upper reaches were too far from the field to be useful for regular season baseball. Opening up some of those sections, however, led to massive postseason attendance numbers: Game Six of the 1997 World Series saw a paid crowd of 67,498, the largest crowd to attend a Series game since 1962. In 2010, the facility became the last active major league stadium to host a Super Bowl. The Marlins moved into Marlins Park for the 2012 season but the facility, now known as Hard Rock Stadium, is still home to the Dolphins and Miami Hurricanes, and is expected to host Super Bowl LIV in 2020 and the College Football Playoff National Championship in 2021. The Hubert H. Humphrey Metrodome, named for the former Minnesota senator and 38th Vice President, was built to replace another shared facility. Prior to moving indoors, the Twins and Minnesota Vikings had coexisted at Metropolitan Stadium from 1961-1981, when the former moved from Washington and the latter was an NFL expansion franchise. The Metrodome was baseball’s first structure with a fiberglass fabric, air pressure-supported roof. The roof protected the Twins and their fans from the often challenging Minnesota weather conditions but created new issues. The ceiling gave off light, causing many fielders to lose track of balls hit into the air. The roof also deflated during a heavy snowstorm in April of 1983, causing a scheduled Twins game to be postponed, and an April 1986 game was delayed when high winds tore a portion of the roof open; the ceiling later caved in during a snowstorm in December of 2010. The facility also had a unique fixture in the outfield. A 16-foot high plastic wall extension often referred to as the “Baggie” covered seats that could be extended out for the facility’s football configuration. Balls hit off of the plastic were considered in play. The facility opened with a SuperTurf field widely condemned for being too hard and bouncy; it was later replaced with Astroturf in 1987 and FieldTurf in 2004. The Metrodome’s left field also featured a six-foot high Plexiglas screen above the outfield wall from 1983 until the early 1990’s, per Clem’s Baseball. The Metrodome hosted the 1987 and 1991 World Series, Super Bowl XXVI, and the NCAA Division I basketball Final Four in 1992 and 2001. The exodus from the facility began when the Twins moved to Target Field in 2010, and the Vikings followed them out the door following their 2013 season. The structure was demolished in 2014. Long before it was the last of a generation of round, cookie cutter, multi-sport facilities still doubling as a major league baseball and NFL home, Veterans Stadium got off to a rough start: Philadelphia voters had to go to the polls twice to support a $25 million referendum for its construction and a $13 million cost overrun. The Phillies were expected to move in for part of the 1970 season, but the facility was not complete until 1971, when both the Phillies and the Eagles played home games there for the first time. As a football facility, “The Vet” became notorious for bad fan behavior. At one point an “Eagles Court” was even established within the stadium to process arrested parties during games. Veterans Stadium’s Wikipedia page features a section entitled “Notable games and incidents,” a telling indicator of the facility’s reputation. The playing surface was almost as bad as the fan behavior, featuring a hard, seam-laden artificial turf that drew frequent complaints from football and baseball teams alike. At its peak, however, Phillies fans packed the park, finishing no worse than third in the National League in attendance in eight consecutive seasons from 1975-82. Both the Phillies and Eagles moved into new, single-use facilities adjacent to The Vet in 2004, and it was imploded in March of that year. Among its generation of multi-sport facilities, Veterans Stadium was preceded in obsolescence by San Diego’s Jack Murphy Stadium (its last year as a combined NFL/MLB venue was also 2003), Pittsburgh’s Three Rivers Stadium (2000), and Cincinnati’s Riverfront Stadium (1999). After their move west in 1958, the newly-christened San Francisco Giants spent two years at Seals Stadium, the former home of the Pacific Coast League San Francisco Seals, before moving to a new facility located on Candlestick Point. From 1960-1970, they had the facility to themselves, but in 1971 it was expanded and the grandstands around the outfield were closed in to make way for the 49ers to join them. “The Stick” was located next to the San Francisco Bay and most of the most memorable stories about it have to do with the wind blowing in off the water. In 2016, Tim O’Rourke of the San Francisco Chronicle unearthed a story about the ballpark from its first season in which a construction superintendent bemoaned the decision to orient the ballpark in such a way that it would not provide any shelter from the breeze; Hall of Fame pitcher Warren Spahn suggested the facility be shipped to Japan. Another lasting Candlestick memory was a game that didn’t happen. Moments before Game Three of the 1989 World Series, an earthquake struck the Bay Area, causing the entire series to be delayed 10 days. 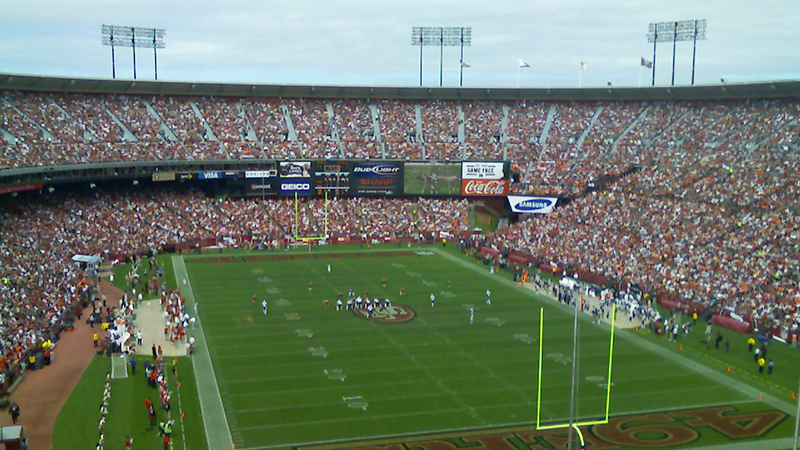 The Giants moved to a new facility (recently renamed Oracle Park) in 2000 but the 49ers remained through 2013. At the time of their departure they were the last NFL team playing in a stadium that had been constructed primarily for baseball. Meanwhile, the Giants drew two million fans in a season just once in 36 seasons at Candlestick but have drawn three million or more in 17 of their last 19 seasons at what is now Oracle Park. After a pair of failed referenda in 1960 and 1966 — and the Seattle Pilots’ departure for Milwaukee after just one major league season — King County (home to Seattle) embarked on a five-year project in 1972 to build a new home for the Seahawks and the North American Soccer League’s Seattle Sounders, spending $40 million on the facility. The expansion Mariners joined those two teams in the facility in 1977, and the Seattle SuperSonics also became a full-time tenant later that year. It was clear that baseball was not the Kingdome’s primary purpose. It had enormous foul territory, crunched outfield dimensions, and upper deck seats that couldn’t see portions of the outfield. The Mariners sold out only one home game from 1977 until 1990, a streak that largely overlapped with 17 consecutive finishes of fourth or worse in the American League West. Despite short fences, the Kingdome played as a relatively neutral offensive environment, at least partially aided by a 23-foot fence and in-play scoreboard installed in 1982 in front of the park’s short porch in right field. Ken Griffey Jr. homered in his first plate appearance there in 1989, and became the last batter to go deep there in 1999. Both the Mariners and Seahawks left the Kingdome in 1999 and it was demolished in 2000. Long after the Kingdome had exceeded its usable life and been torn down it was still a line item in King County, Washington’s budget: the bonds for its construction were not paid off until 2015, 15 years after the facility was gone. Nicknamed the “Eighth Wonder of the World,” the Astrodome was the world’s first domed multi-purpose sports stadium when it opened in 1965 and the Astros, who had been known as the Colt 45’s, moved in. In 1966, they were joined by the AFL’s Houston Oilers, and from 1971-1975 the facility also hosted some home games for the NBA’s Houston Rockets. Baseball’s first indoor stadium came with its first artificial surface. “AstroTurf,” as it would come to be known, was installed when the original natural grass surface died. By 1970, AstroTurf was installed in several major league parks, including both parks hosting the 1980, 1985, 1987 and 1993 World Series, multiple NFL stadiums, and the Brady Bunch’s backyard. Throughout its existence, the Astrodome had a reputation as a pitcher’s park, but over time its dimensions were adjusted to play closer to neutral. By 1992, the fences had been moved in 15 feet in the power alleys and corners, and in the late ’90s, batting park factors rated it just below neutral for hitters (96 in 1997, 98 in 1998, and 99 in 1999). In its final years as a major league park, the Astrodome was actually friendlier to offenses than Minute Maid Park has been in recent years (94 batting park factor in 2016 and 2017, and 96 in 2018). The Oilers left for Tennessee in 1996, and the Astrodome was left without a major sports tenant when the Astros moved into Enron Field (now Minute Maid Park) in 2000, but the facility still stands and listed on the National Register of Historic Places. Various efforts to renovate or redevelop the facility, including a $105 million project scheduled to get underway in 2019, have been rejected or delayed. While most sports fans likely remember it as the longtime home of the Denver Broncos, Mile High Stadium was originally constructed as a baseball park, and returned to that role for two years when the expansion Colorado Rockies moved in before the 1993 season. Coors Field is known for its large outfields and expansive fair territory; Mile High also featured a massive playing surface, with a 423-foot center field fence and 400-foot power alley in right center. Park factors suggest Mile High was a little less hitter-friendly than Coors Field’s early years (a 117 park factor for batters in 1994, as compared to a 128 mark when Coors opened in 1995), but roughly in line with Coors’ current playing conditions (a 117 park factor in 2018). Unlike Joe Robbie Stadium, many of Mile High’s 70,000-plus seats were available for regular season baseball games and were widely used; the Rockies averaged over 57,000 tickets sold per game in their two seasons in the facility. The Rockies moved into Coors Field in 1995 and the Broncos later opened a new facility in 2001. Mile High was demolished in 2002 and the space now serves as a parking lot for the Broncos’ current Stadium at Mile High. After a few years as the final tenants of one of America’s first prominent multi-sports facilities, the Polo Grounds, The Mets and Jets moved into Shea Stadium together in 1964 and shared the facility until 1983, when the Jets moved in with the Giants in New Jersey. In light of recent trends in stadium ownership and construction, Shea’s story stands out as a bit of an outlier. New York City officials had previously tried to get Dodgers owner Walter O’Malley to move to the site but the deal came apart, per minutes from a Brooklyn Dodgers shareholders meeting in September of 1957. While addressing a crowd at the Brooklyn Historical Society in 2018, Peter O’Malley, Walter’s son, said “He had no interest in a taxpayer facility in Flushing.” O’Malley instead moved the team to a privately owned facility in Los Angeles. Unlike many shared facilities, Shea was primarily a baseball park and the Jets’ lease reflected it. Until 1978, the Jets were not allowed to have home games at Shea until the Mets’ season had concluded, an agreement that led to the Jets playing their first five games on the road in 1969. Shea might have had the busiest year of any ballpark in American history in 1975, when the Mets, Yankees, Giants, and Jets all shared the facility during renovations at Yankee Stadium and the construction of Giants Stadium. The park hosted a combined 161 games that season, including 14 NFL games in 12 weeks. After the Jets’ departure, the Mets had Shea to themselves for 25 seasons. 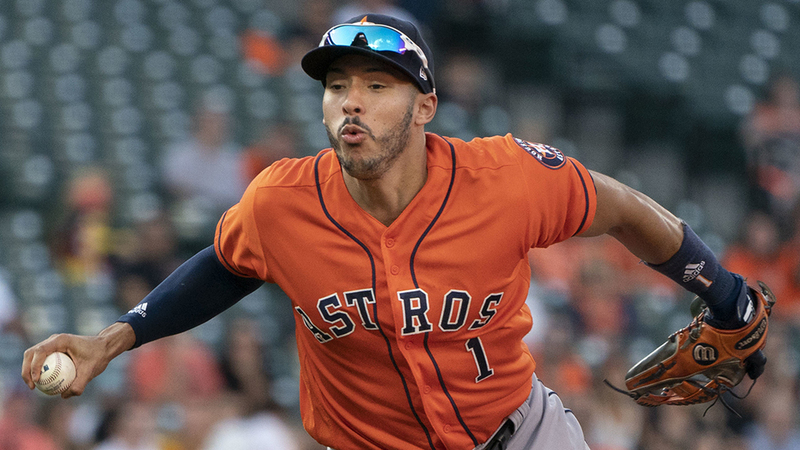 Their final campaign in the ballpark came to an abrupt end when they lost to the Marlins on the season’s final day, knocking them out of a tie for the NL Wild Card. They moved to Citi Field in 2009; Shea Stadium was demolished. One of the first of the aforementioned generation of round, cookie-cutter, shared-use stadiums, District of Columbia Stadium, later renamed Robert F. Kennedy Memorial Stadium and more commonly referred to as RFK, served two tours of duty as a major league park, hosting the Washington Senators from 1962-71 and the Washington Nationals from 2005-07. By the time the Nationals debuted, however, the stadium was no longer an NFL venue, as the Redskins moved out in 1996. Baseball’s final day in Washington in 1971 ended in ugly fashion. With the Senators leading the Yankees 7-5 in the top of the ninth inning, fans stormed the field and caused the Ted Williams-managed Senators to forfeit their final home contest. The Nationals moved into Nationals Park in 2008, but the facility remained active through 2017 as the home for Major League Soccer’s D.C. United. One of baseball’s iconic ballparks was also a football stadium for most of its early history. The Cubs moved into what was first called Weeghman Park for the 1916 season but had the park to themselves for five years before the Chicago Staleys, who later became the Bears, moved in from Decatur in 1921. Wrigley Field (so named in 1926) hosted pro football games for the next 50 years, setting an NFL record for consecutive years in one facility that lasted until 2007. Wrigley’s tight dimensions made football a tough fit. Ground rules had to be established to cut off a portion of the south end zone that would otherwise have been in the visiting team’s dugout, and at the other end, the end line was mere inches away from the left field wall. The Bears moved to Soldier Field in 1971 and no more football was played at Wrigley for 40 years until a Big Ten matchup between Northwestern and Illinois in November of 2010. The dimensions were also an issue for that contest, and rules were adjusted to allow both teams to run offensive plays in the same direction. Northwestern is scheduled to host Wisconsin at Wrigley in 2020. An asterisk belongs here in reference to the longtime home of the Blue Jays. While the facility now known as Rogers Centre was never the home of an NFL franchise (except for one Bills game per year from 2008-13), it hosted the Canadian Football League’s Toronto Argonauts from 1989 until 2015. Baseball has been the facility’s only major sport since the NBA’s Raptors moved out in 1999 and the Argonauts left for BMO Field in 2016. The Argonauts’ departure was expected to be part of a process that would allow the installation of real grass on the Rogers Centre’s playing surface, a feat previously believed to be impossible given the low amount of sunlight let in by the facility’s retractable roof. As recently as 2017, the Blue Jays told Jamie Strashin of CBC Sports that natural grass was “the preferred option and the technology exists to do it under a retractable dome,” but the transition has yet to happen. Kyle Lobner has written about major and minor league baseball since 2008 for websites and organizations including Brew Crew Ball, Shepherd Express, and the Wisconsin Timber Rattlers. You miss two of the biggest oddities in this category: the Dodgers playing in the LA Coliseum from 1958-‘61 and the Boston Patriots playing in Fenway Park in the mid ‘60’s. And a footnote: the Astrodome hosted the most famous college basketball game ever: Houston/UCLA in 1967. Hi Dennis, thanks for the feedback! As you might imagine, it was impossible to do a list of every story like that without creating a piece that would have gone on for days. Thanks for sharing those two, though, as they’re definitely good footnotes. Understand that you can’t mention them all, but I’ll also throw in the original Yankee Stadium as worthy of note. The (football) Giants played there from 1956 to 1973. Notably in NFL history, the 1958 NFL Championship Game was played there. It’s widely referred to as “The Greatest Game Ever Played” and credited with being a big impetus for the NFL’s subsequent rise in popularity. It was a 23-17 overtime win for the Baltimore Colts over the Giants and twelve future NFL Hall of Famers played in that game. Before SkyDome, I saw game at Exhibition Stadium in 1987. The Jays and Argos, but not the Bills, were thereee first. The right field stands, where we sat, faced center field and we craned our necks before getting rained out. Probably doesn’t fit the intended scope of this article, but in recent years, Miller Park in Milwaukee has started hosting international soccer friendlies, usually between mid-level Mexican teams and English teams. Never used to happen until maybe 5 years ago, but now there’s usually one every other year or so.